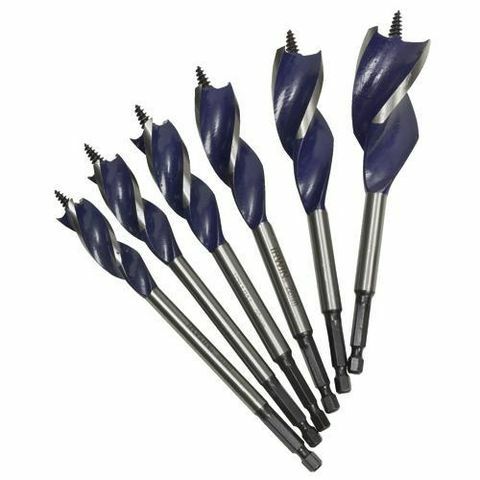 This 10 Piece Flat Wood Bit Set is specially designed for cutting straight or angled holes in hardwood, softwood, grain, cross grain and laminated panels. 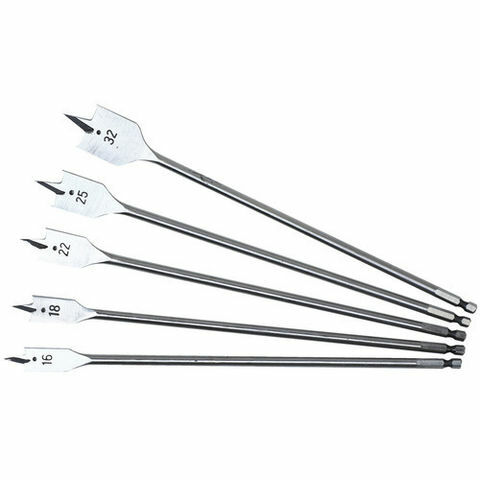 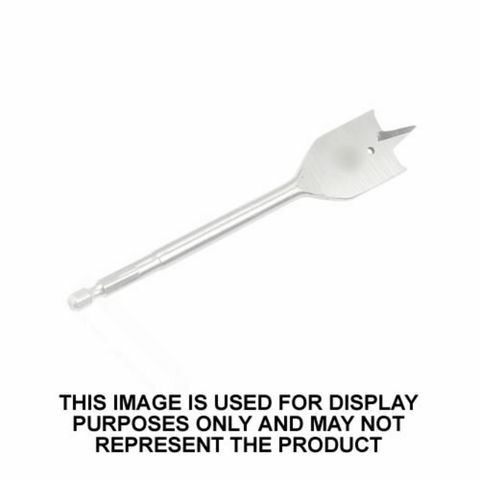 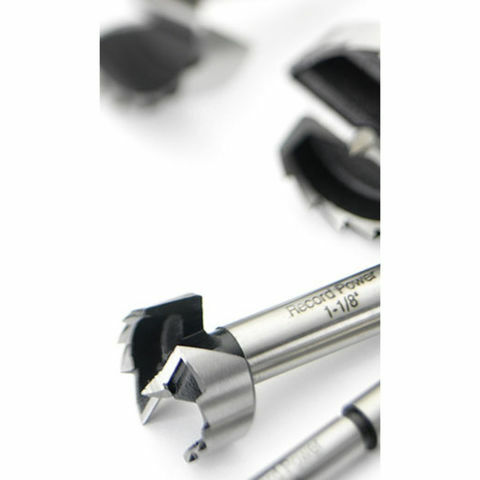 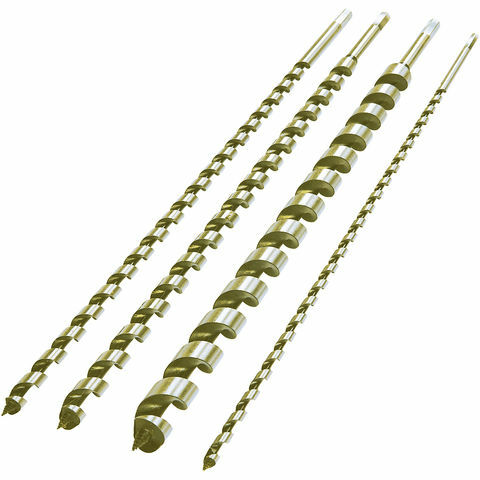 Includes popular sizes of flat wood drill bits, extension bar and hex key. 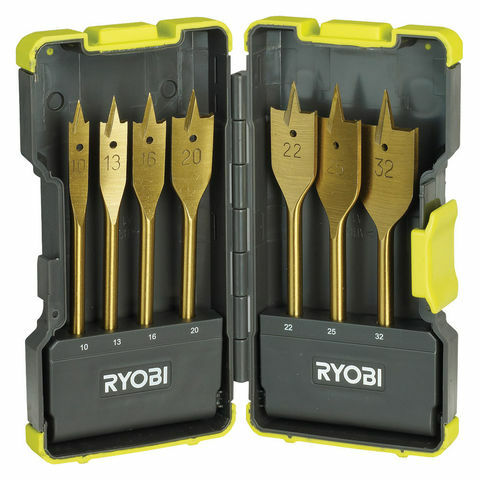 The Ryobi RAK07SB is a 7 piece set of spade drill bits which are compatible with all drills. 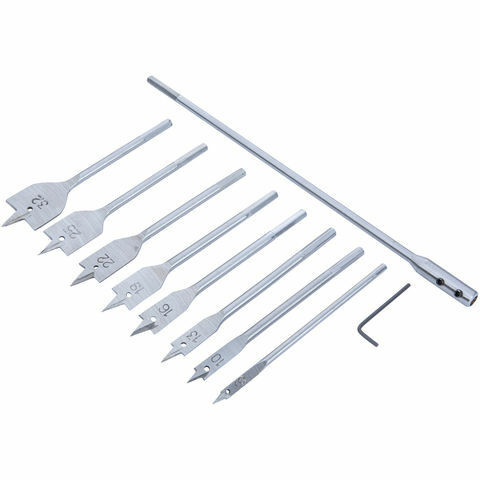 It includes 7 Spade Bits all contained in a practical grip case.